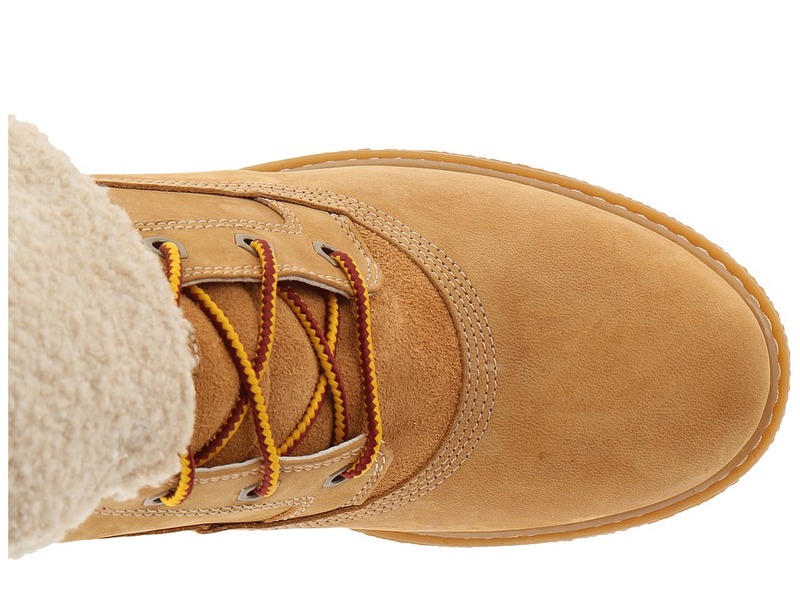 Flaunt one-of-a-kind style with season with a cold-weather favorite from Timberland. 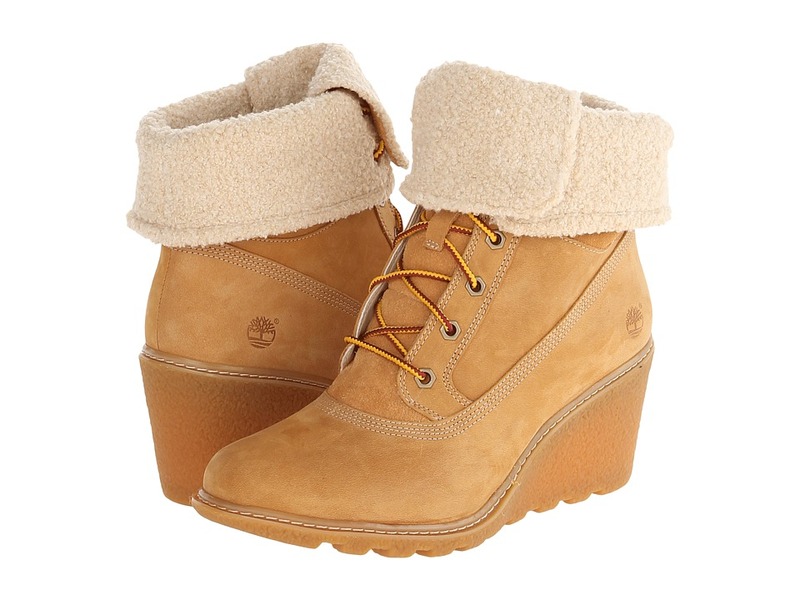 ; Premium nubuck upper in a wedge boot silhouette. ; Lace-up closure for an adjustable fit. ; Teddy fleexe collar is made of 50% PET from recycled plastic bottles. ; PET lining for breathability and warmth. 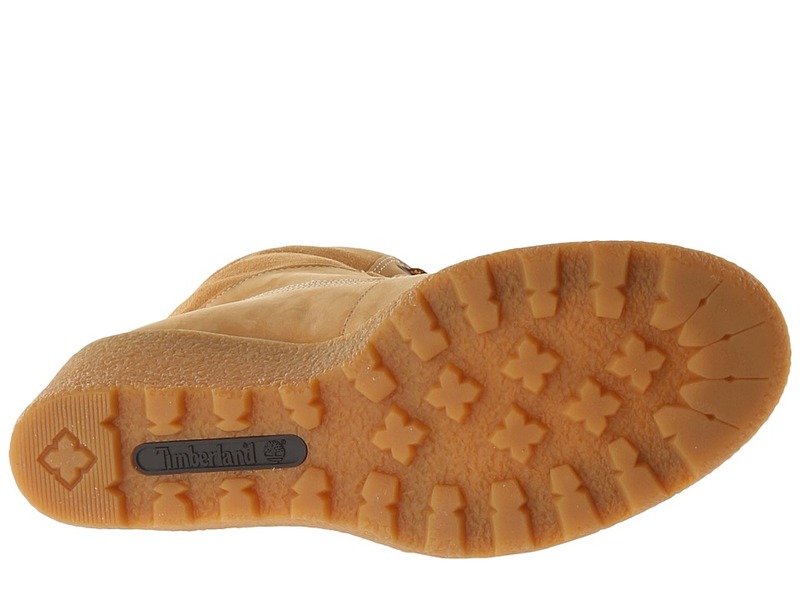 ; Natural latex footbed provides all-day cushioned comfort. ; Textured wedge heel sits atop a rubber lug outsole that is made of 15% recycled rubber and has been built for a durable stride. ; Imported. Measurements: ; Heel Height: 2 1 2 in ; Weight: 1 lb 2 oz ; Shaft: 6 in ; Platform Height: 1 4 in ; Product measurements were taken using size 9, width B – Medium. Please note that measurements may vary by size.